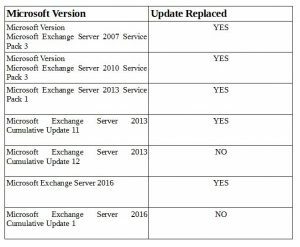 This article will give brief information about How to Perform Security Update for Microsoft Exchange Server. The errors caused in Elevation Privilege and Information Disclosure can be solved using this article. If you are reading this article you might have an idea about Exchange Server. Let’s learn briefly about Microsoft 2016, 2010 and 2007 servers and this issue for a start. 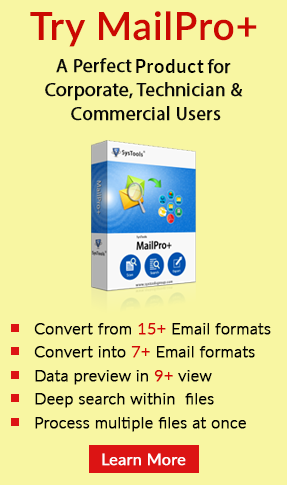 The above Microsoft Exchange Versions use external Applications. This update is specifically designed for those issues. Since by using third party tools within Exchange you provide privileges to other software. Hence, this update is released to overcome that issue. Note: Your Data might be vulnerable even after following issues are rectified. Microsoft clearly states that they do not take responsibility for data loss or theft even after these updates. What needs to be Done against Information Disclosure Vulnerability Issue in Exchange Server? It must be remembered that Microsoft keeps on updating its security updates for various versions Outlook Web Access (OWA). The user needs to keep track of these updates so that they can identify the security risks and its solutions. To do so you may also check updates on this blog. This update was required for following the version of Microsoft based on Information Disclosure and Elevation of Privilege vulnerability. Th following versions were affected during this update. Their following Elevation of Privilege Vulnerabilities is resolved for Oracle Critical Patch Advisory. 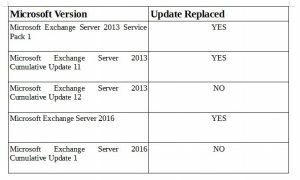 The above article is based on Security Update for Microsoft Exchange Server. Remember, the changes in vulnerabilities for Oracle Outside in Libraries and Outlook Web Access (OWA) that are associated with MS Exchange server will also change the working. There are various issues faced by a user when they implemented Elevation Privilege and Information Disclosure changes in Exchange Server 2007, 2010 and 2016. But this will increase the security of MS Servers.